People argue if Australian really has it's own cuisine. Well it sure does! It may be a fusion of European and Asian though there are plenty of great restaurants serving modern Australian cuisine. Also Australian has some unique produce not found anywhere else in the world including Kangaroo, emu and some wild bush vegetables. Bel Mondo Restaurant modern Sydney cuisine with the freshest produce Australia has to offer, Located in the heart of the Rocks Sydney on the Gloucester Walk. Red Belly Restaurant Springfield Ave Potts Point Ph: 8988 6999 Open everyday 8am till midnight. Catalina Rose Bay is one of the best restaurants in Sydney. Great view and a fine view over Sydney Harbour. Lyne Park Rose Bay Ph: 9371 0555. Open for lunch and dinner 6 days (Monday to Saturday) lunch only on Sunday. Pyrama Restaurant 1/56 Harris St Pyrmont Ph: 9692 8844. Open for breakfast Saturday and Sunday. Open for lunch Thursday - Sunday. Open for dinner Wednesday to Saturday 6pm - 9.30pm. The Sugar Room is located right at the end of Harris St Pyrmont down near the water. 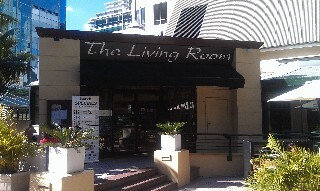 The Living Room (reviews) 36 Blue St North Sydney Ph: 9964 9766. Just across from North Sydney train station. Open for lunch Monday to Friday 11.45am - 3pm. Open for dinner Thursday and Friday 5.30pm - 9.30pm. For restaurant reviews for The Living Room Restaurant click here. White Water Restaurant 35 South Steyne Manly Ph: 9977 0322. Directly across from Manly Beach. Open 7 days for lunch and dinner. Open for breakfast on weekends. The Bower Restaurant 7 Marine Parade Manly Ph: 9977 5451. Open for lunch 7 days a week. Deep Blue Bistro has a modern Australian menu using exotic native produce including Kangaroo. They have a new Outback Fusion Menu. 56 Carr St Coogee Ph: 9315 8811. Open Wed to Friday for lunch and dinner, Saturday and Sunday for Breakfast, lunch and dinner. Blue Parrot Cafe 9/2 Surf Pde Cronulla Ph: 9523 9109. Open for lunch Monday - Friday and Dinner Tuesday to Saturday. Zimzala Restaurant The Esplande Cronulla Beach Ph: 9527 2011. Plate Restaurant located at the front of Harbourside Darling Harbour. Ph: 9212 4424 Open everyday 6.30am till late. Aqua Dining Cnr Paul and Northcliff St Milsons Point. Overlooking North Sydney swimming pool and directly over Sydney Harbour to the Harbour Bridge. 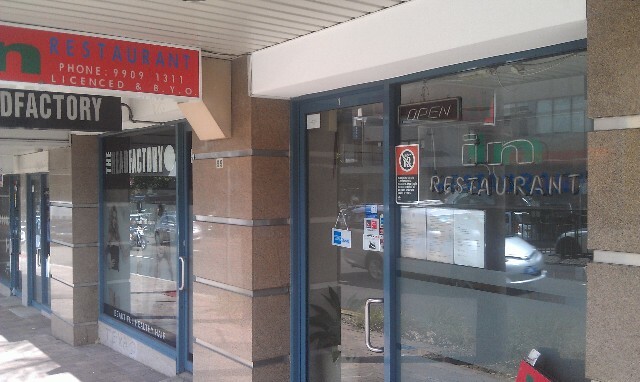 In Restaurant (reviews) 99 Military Rd Neutral Bay Ph: 9909 1311. Open for lunch Tuesday to Friday 12pm - 3pm. Open for dinner 7 nights a week from 6pm - 11pm. For restaurants reviews for In Restaurant click here. Restaurant Thirteen is located at 13 Hayes St Neutral Bay. Service a fusion of modern Australian with a twist of French and Italian influence. 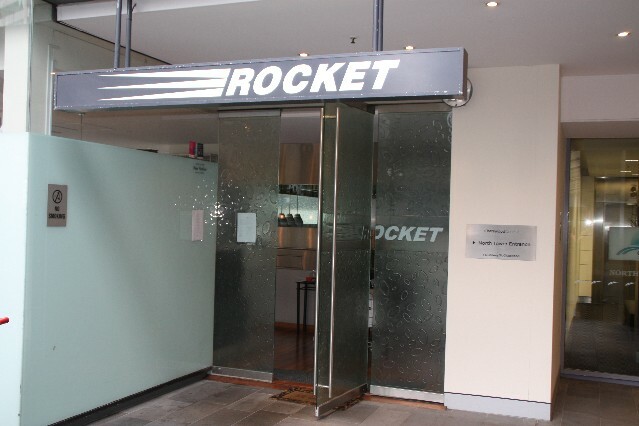 Rocket Restaurant (reviews) 1-5 Railway Street Chatswood Ph: 9411 8233. Open for lunch Tues to Frid. Open for dinner Tues to Sat. For restaurant reviews for Rocket Restaurant click here. Summer Salt Restaurant with a great view over Cronulla Beach. Serves modern Australian cuisine with some Asian influence. East meets west cuisine. Bouera Surf Life Saving Club, Mitchell Rd Cronulla. Ph: 9523 2366. Open for lunch and dinner 7 days. Banjo Patterson Cottage Restaurant located down on the Parramatta river in an old sandstone colonial house built in the 1830's. End of Punt Rd Gladesville Ph: 9816 3611. Open for lunch Tuesday to Friday and Sunday. Dinner Tuesday to Saturday. Ginnivans Fine Dining Restaurant Castle Hill Country Club Spurway Drive Castle Hill Ph: 9634 7308. King Henry's Court Restaurant 74 Henry St Penrith Ph: 02 4721 1155. Open for lunch Monday - Saturday. Open for dinner Tuesday to Saturday. King Henry's Court Restaurant is within in a church that built in the 1860's.